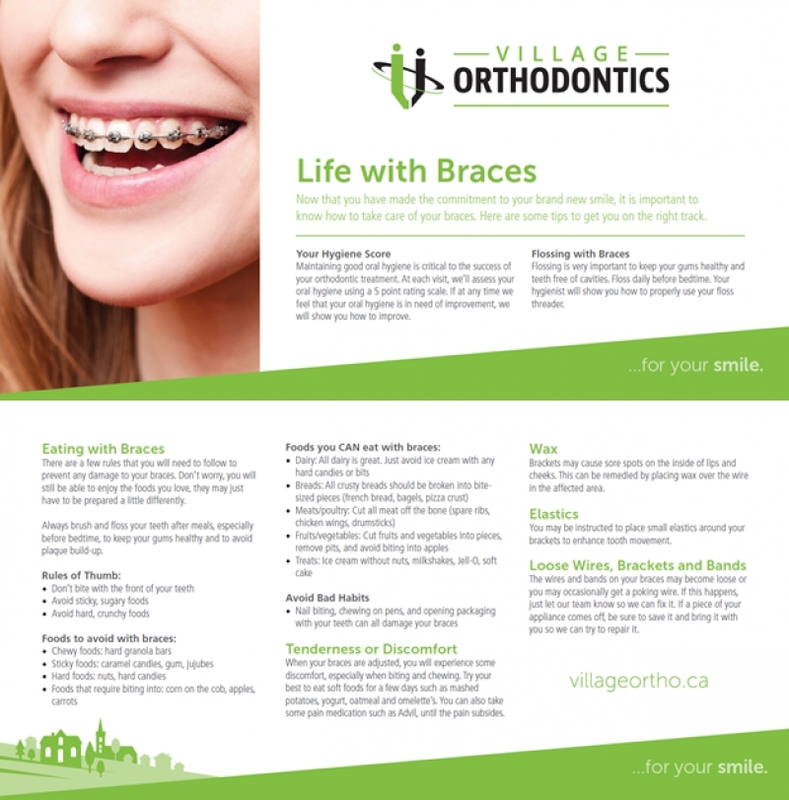 Now that you have made the commitment to your brand new smile, it is important to know how to take care of your braces. Here are some tips to get you on the right track. will show you how to improve. Flossing is very important to keep your gums healthy and teeth free of cavities. Floss daily before bedtime. Your hygienist will show you how to properly use your floss threader. There are a few rules that you will need to follow to prevent any damage to your braces. Don’t worry, you will still be able to enjoy the foods you love, they may just have to be prepared a little differently. Always brush and floss your teeth after meals, especially before bedtime, to keep your gums healthy and to avoid plaque build-up. When your braces are adjusted, you will experience some discomfort, especially when biting and chewing. Try your best to eat soft foods for a few days such as mashed potatoes, yogurt, oatmeal and omelette’s. You can also take some pain medication such as Advil, until the pain subsides. Brackets may cause sore spots on the inside of lips and cheeks. This can be remedied by placing wax over the wire in the affected area. You may be instructed to place small elastics around your brackets to enhance tooth movement. The wires and bands on your braces may become loose or you may occasionally get a poking wire. If this happens, just let our team know so we can fix it. If a piece of your appliance comes off, be sure to save it and bring it with you so we can try to repair it.